A research collaboration between investigators in Lerner Research Institute, led by Hoonkyo Suh, PhD, Department of Neurosciences, and the Cleveland Clinic Epilepsy Center have uncovered new pathologies in the brain that can lead to epilepsy, which could help to establish future therapeutic targets. In the study, which was published in the Journal of Clinical Investigation, the researchers traced neurons over time and found that newly-born cells found in the brain’s hippocampus, called dentate granule cells, are integral components of epileptic brain circuitry and play an important role in the induction of spontaneous recurrent seizures. Dr. Suh and collaborators showed that reduced activity of this specific neuronal population alone dramatically decreased seizures. Taken together, these findings suggest that dentate granule cell levels are associated with excessive stimulation of hippocampal brain circuits and that targeting the activity of new hippocampal neurons may be an effective strategy to prevent the development and spread of intractable epilepsy. Such a treatment is greatly needed as epilepsy is the third most common neurological disorder in the United States, affecting more than 2 million Americans, and a sizable portion (30-40%) of these people are unable to treated by current therapies, creating hardships for patients and their families and presenting a significant challenge for medical professionals. Dr. Suh and his team are hopeful that this early-stage research will one day help this population. 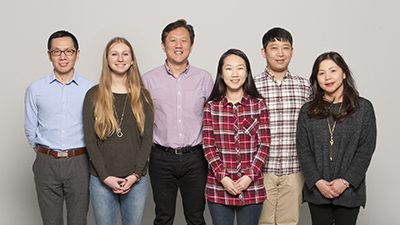 Moving forward in the near term, he and his group will determine the specific age of newborn cells relative to the development of epilepsy that are critical for the targeted development of new therapies. Qi-Gang Zhou, PhD, was first author on the study, which was supported by grants from the National Institute of Alcohol Abuse and Alcoholism, part of the National Institutes of Health, and the Hartwell Foundation.